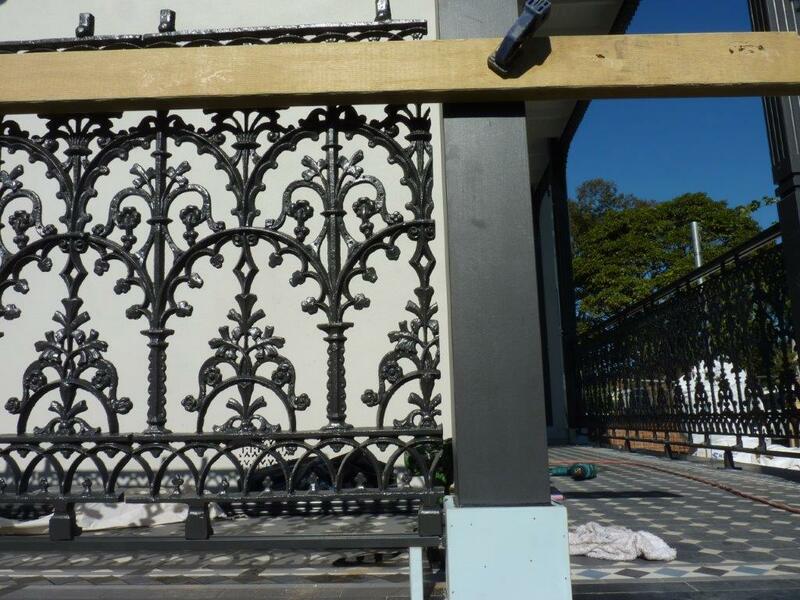 Central Foundry DO NOT install and we do not fabricate or weld into solid frames. 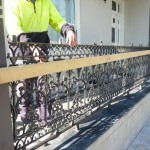 Orders are usually supplied as individual panels to be assembled onsite. 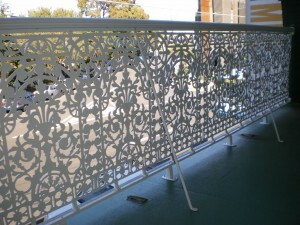 Orders are supplied with panels already cut to size and powdercoated if required. 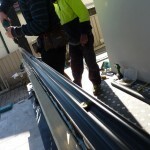 20mm is deducted from customers TIGHT measurement, which leaves a 10mm gap at each end. 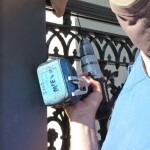 Therefore it is important to get all measurements correct before placing your order. 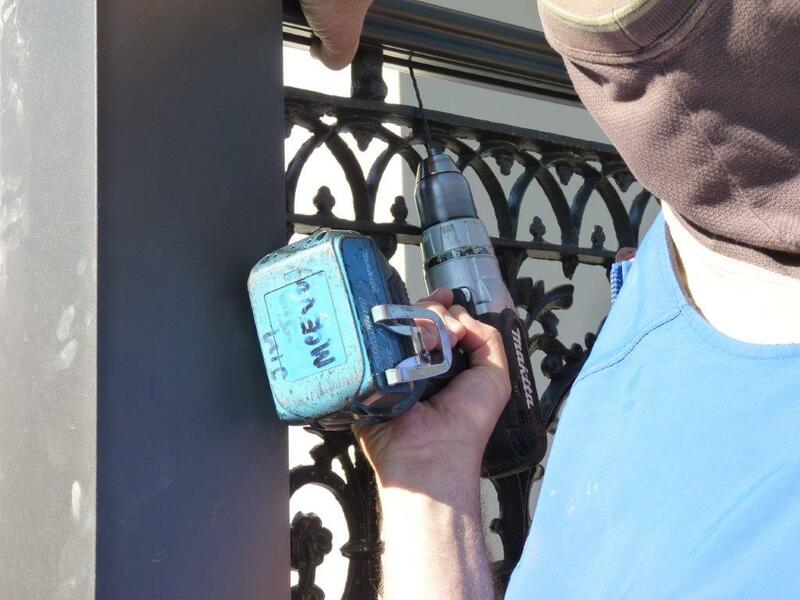 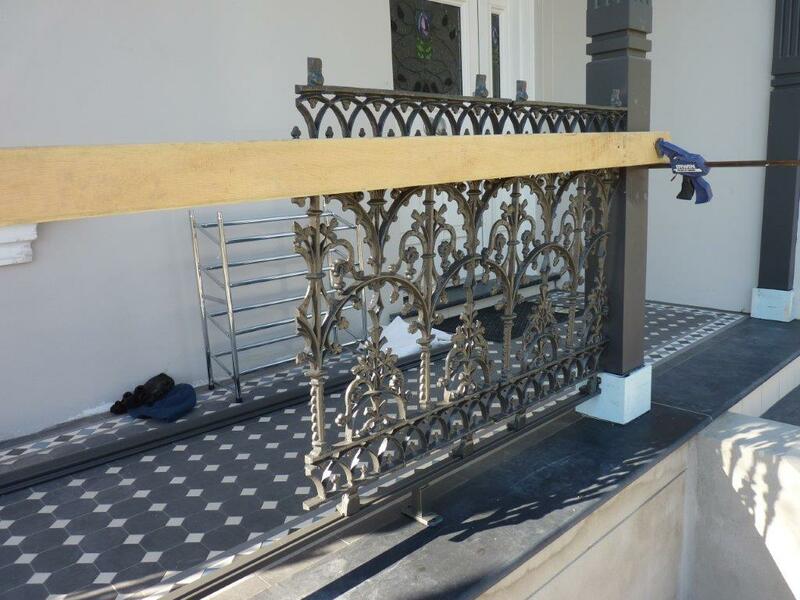 It is the responsibility of the installer to provide accurate measurements and ensure the balustrade is installed securely. 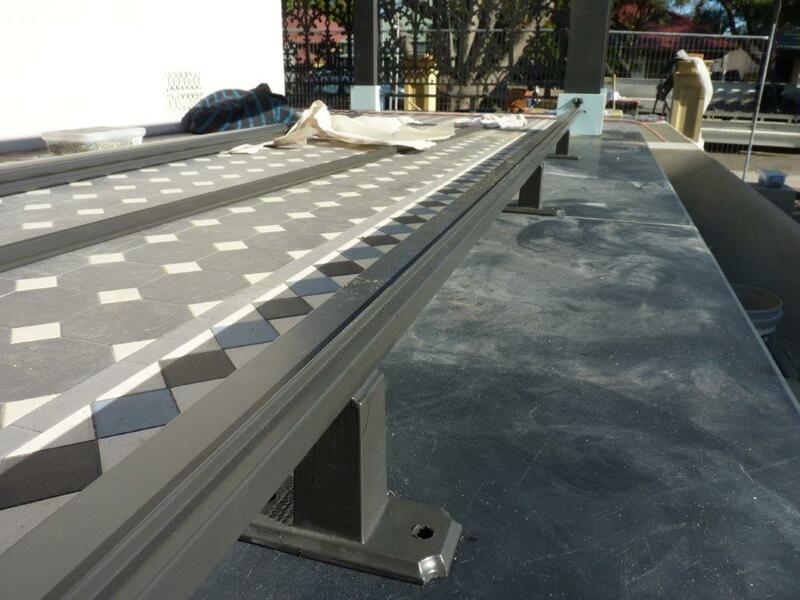 Over the years we have found installation to go much smoother if the installer picks up the completed order from our factory and takes times to see our demo set up in the showroom. 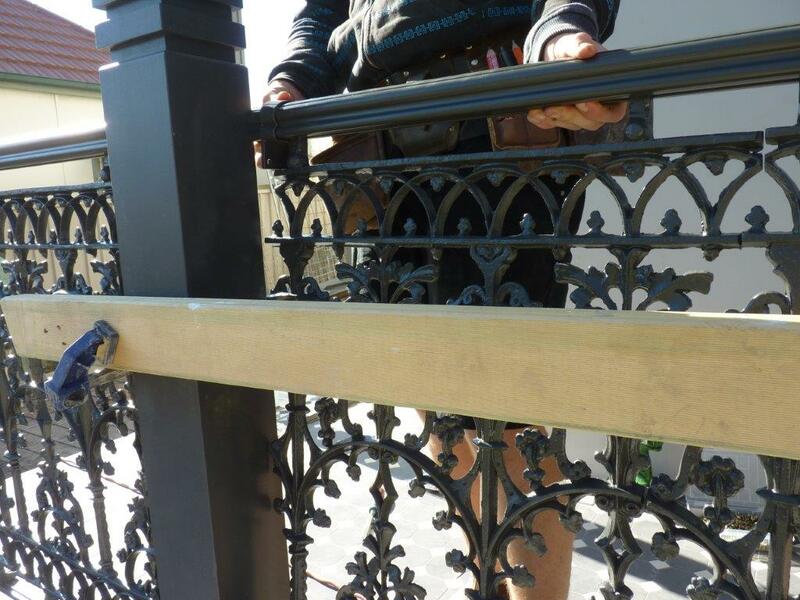 Please note that a brace (or two) is usually needed to increase strength and minimise lateral movement and flex in the handrail. 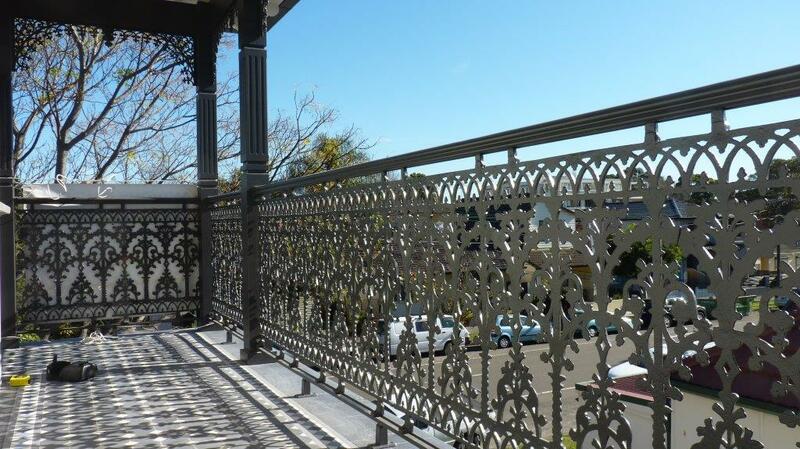 These braces were almost always used on the original cast iron balustrades as well. 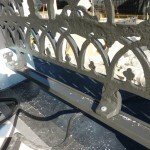 Please see picture of supports below. 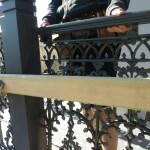 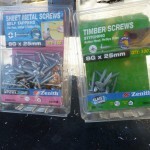 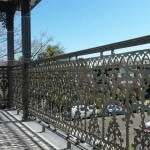 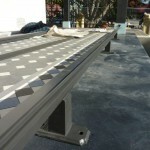 If you require installation we recommend Paddington Lace http://www.paddingtonlace.com.au. 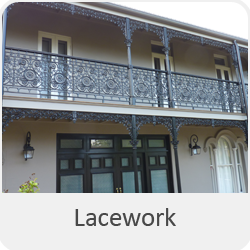 Paddington Lace are builders that specialise in terrace house facade restorations and can provide a complete supply and install service. 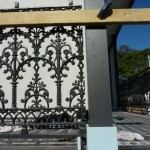 Alternatively you could source a local aluminium fabricator to weld panels into one solid frame. 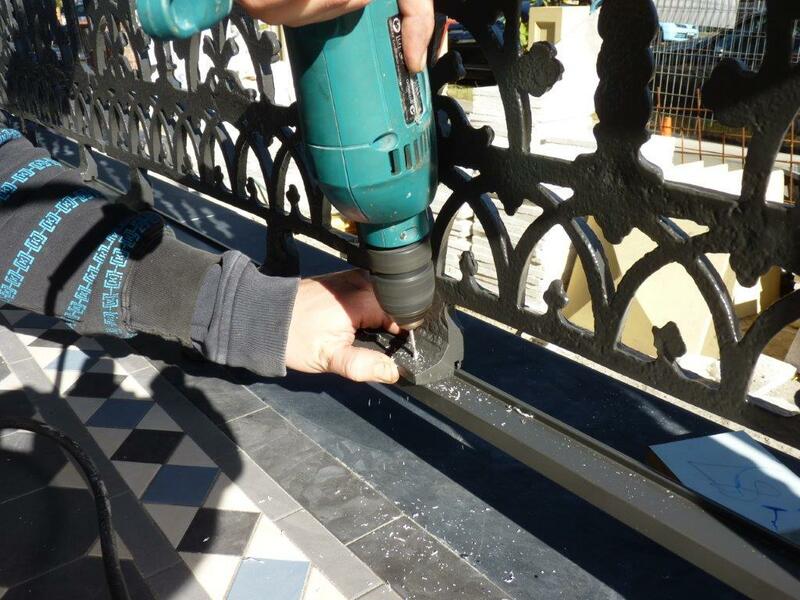 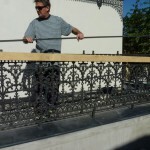 This option will achieve the strongest/sturdiest balustrade (with less flex) however it presents a few issues such as transporting 5 metre lengths to powder coaters and a crane/hoist may be required to install. 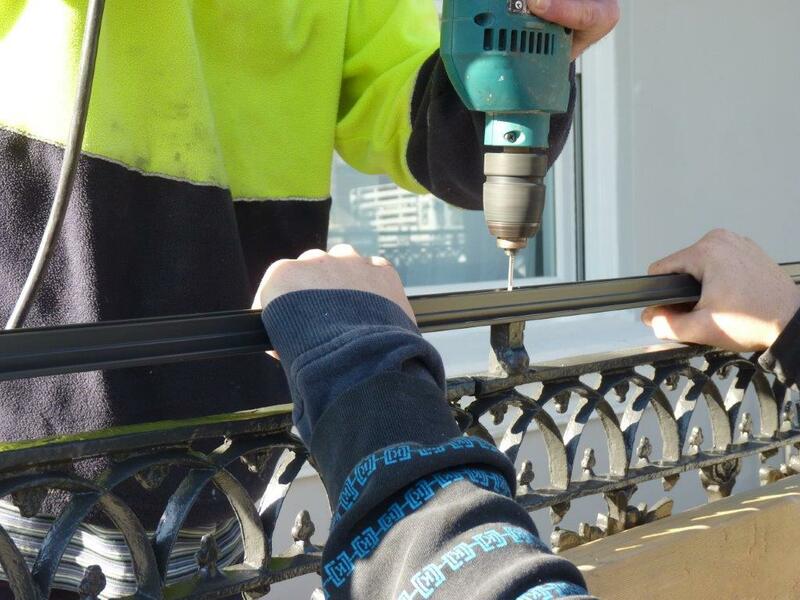 This is why the majority of our customers assemble on site with our standard handrail setup. 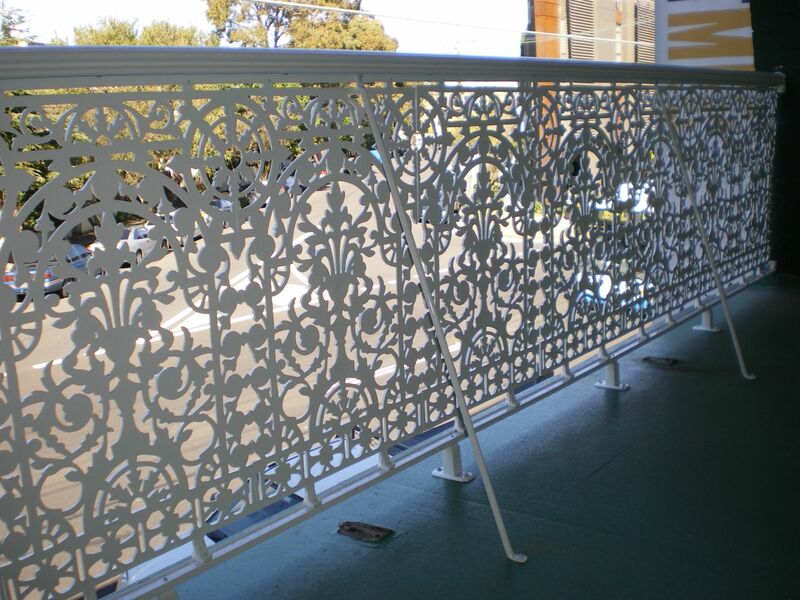 Please note that Central Foundry staff have NEVER installed lace balustrades. 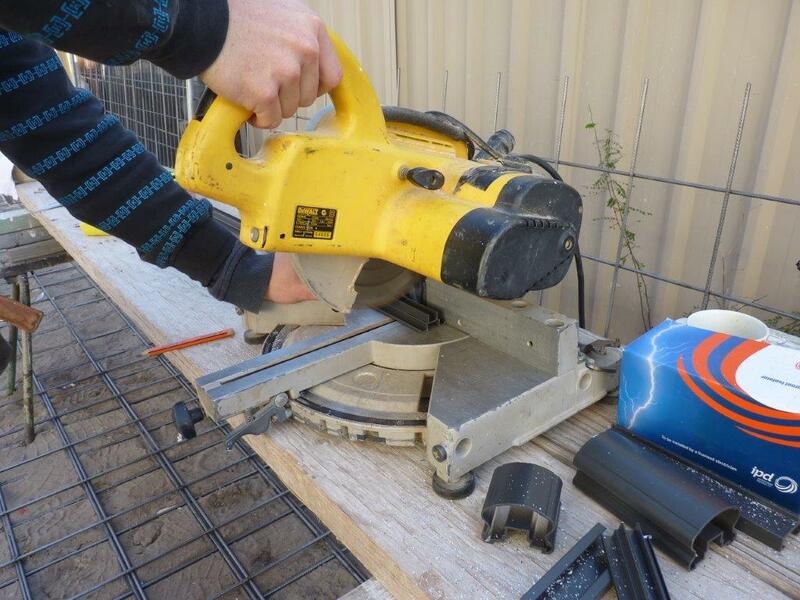 The following information has been compiled from feedback by customers and subcontracted installers over the years. 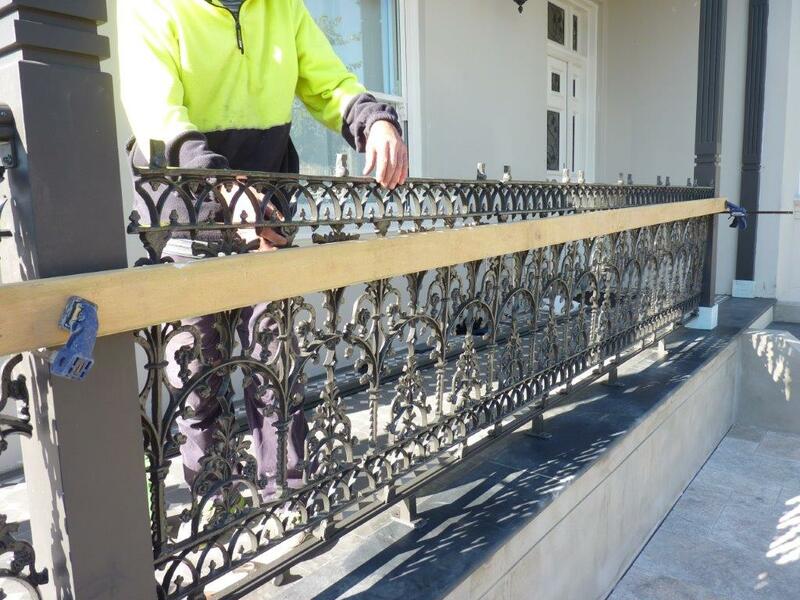 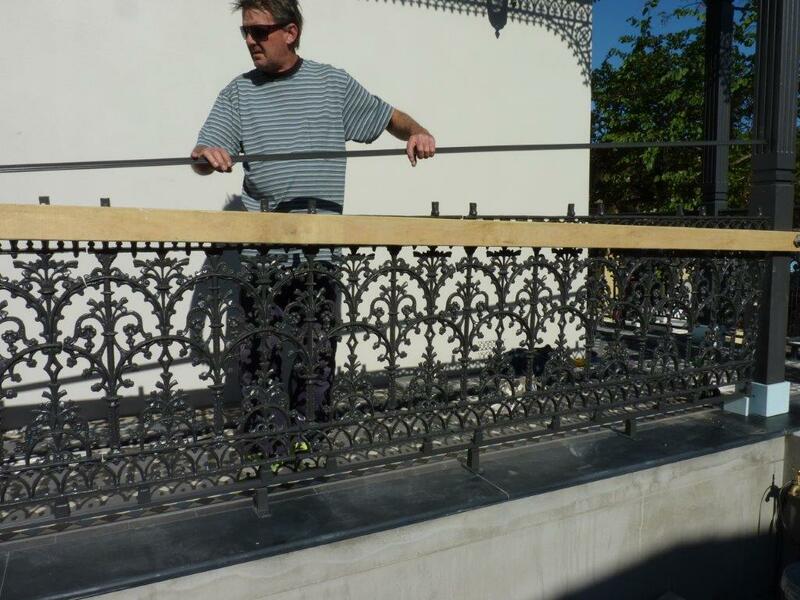 To ensure your balustrade is installed correctly we recommend you use a licensed builder, carpenter, balustrade specialist or handyman with relevant experience. 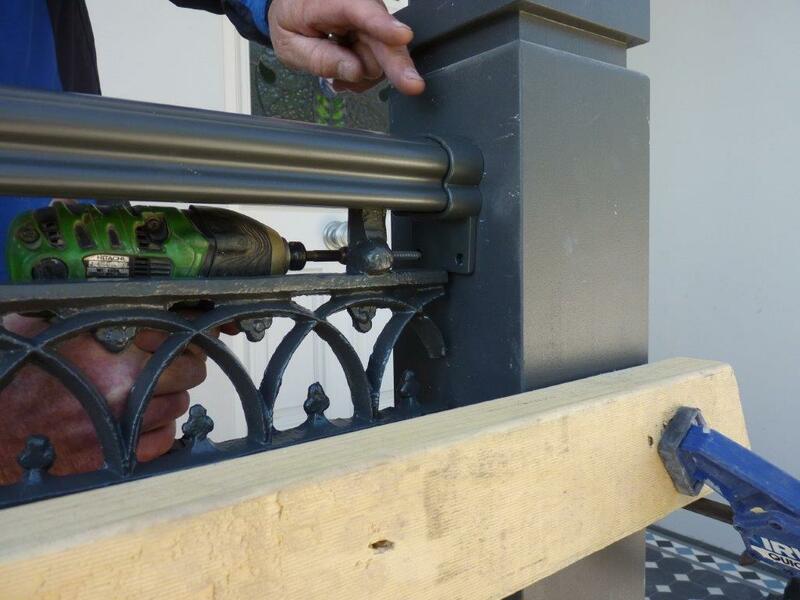 Central Foundry can only provide limited building advice however we are happy to recommend installers with many years experience in this field. 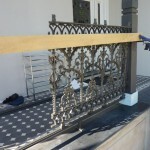 The following steps have been compiled over the past few years however do note that this a guide only. 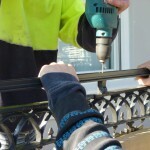 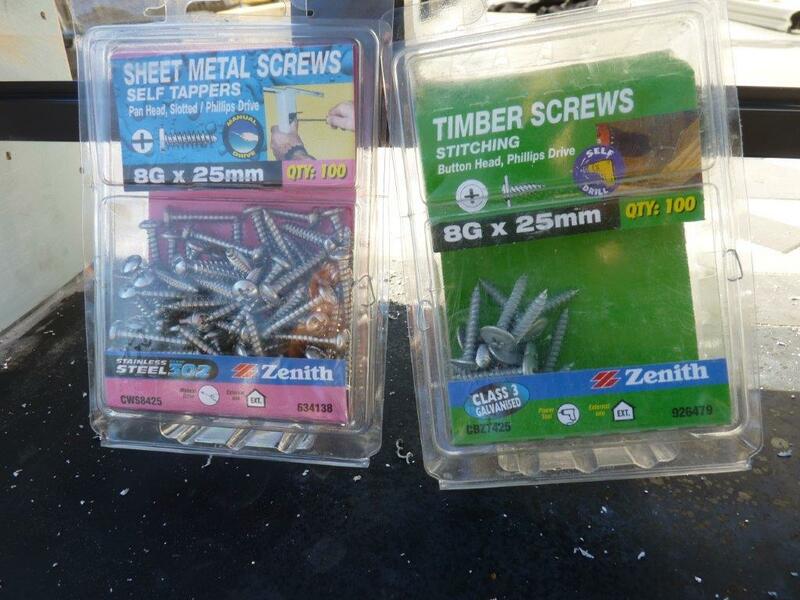 Cut adapter railing 20mm short (at each end) and place onto top lugs of panels. 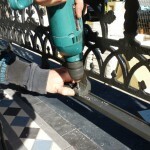 Pre drill and fasten with STS. 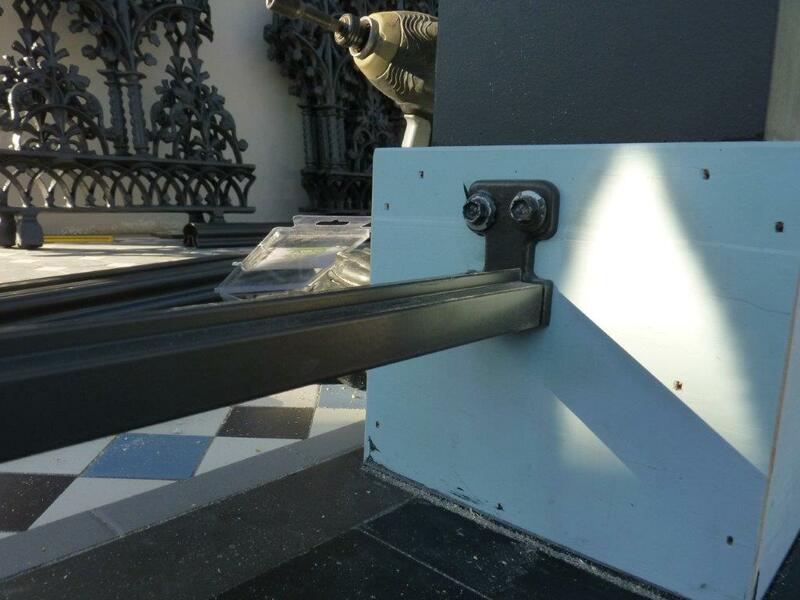 Slide on end brackets and lower federation handrail neatly over adapter rail. 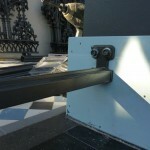 Secure end bracket to wall with dynabolt, plugs and screws etc or best possible fastener for your particular project. 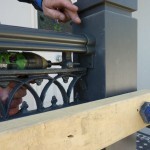 Eliminate rattle/movement of handrail in brackets by using pop rivet or STS to fasten bracket and handrail together. 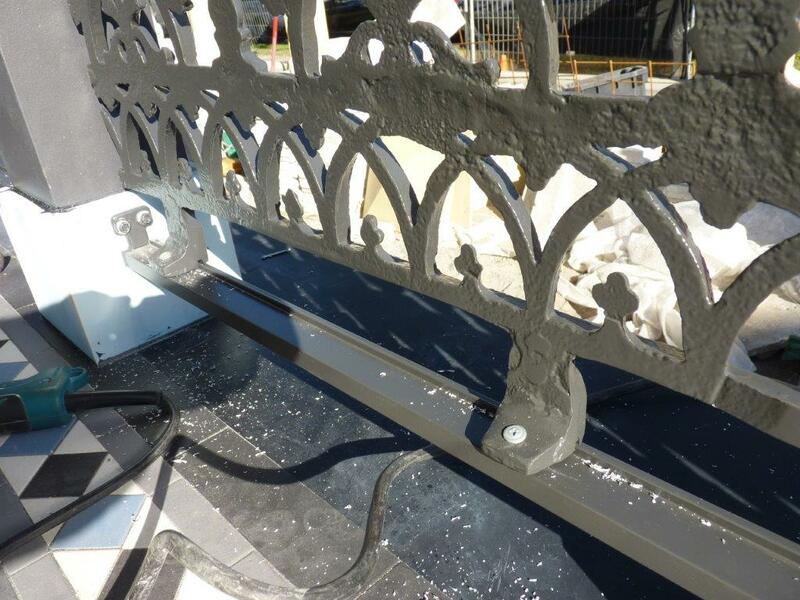 Secure brace as high as possible on balustrade and back onto floor (top fixing should be bolt + nylock nut). 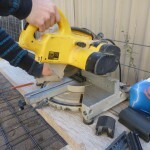 Floor fixing is best into joist or fixed with a plate below decking. 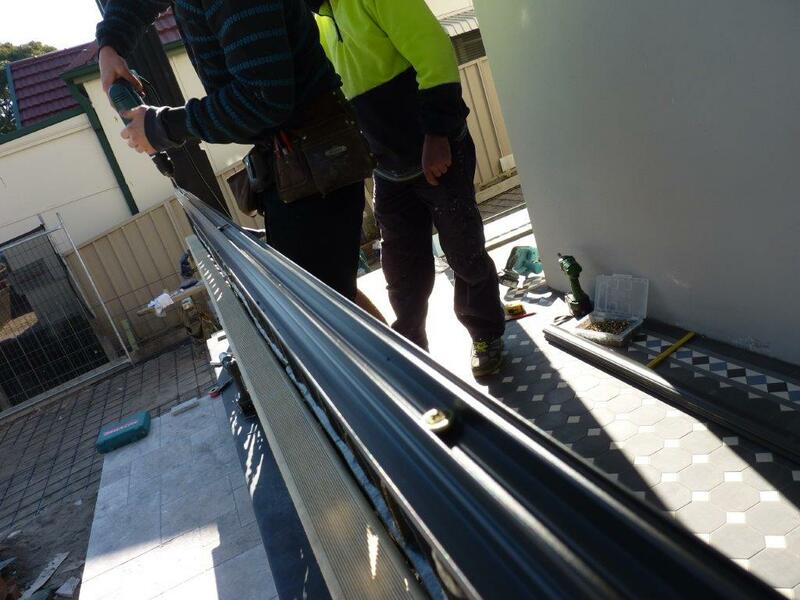 The following photos show an installation being done by a qualified builder.